Sign up for Broadjam today to follow Geila Zilkha, and be notified when they upload new stuff or update their news! SOLO-DUO is a duet group. Geila and male vocalist Ayumu Yahaba sings duets. 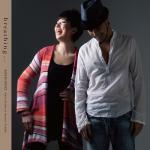 Geila`s 3rd album "Day Dreaming" on sale 2013.7.24. 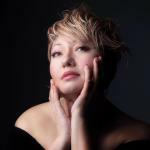 Originals and Jazz arrangements.Great reviews from the Japanese Jazz critics and magazines. Geila`s 2nd album released in 2011. Originals and Jazz arrangements. my first album released in 2010! Voice and guitar duo with guest players. Originals and standards. my first album released in 2010! Voice and guitar duo with guest players. Originals and standards.